It looked funny and we watched a video to learn how to make our own crackers to surprise our relatives during Christmas time. 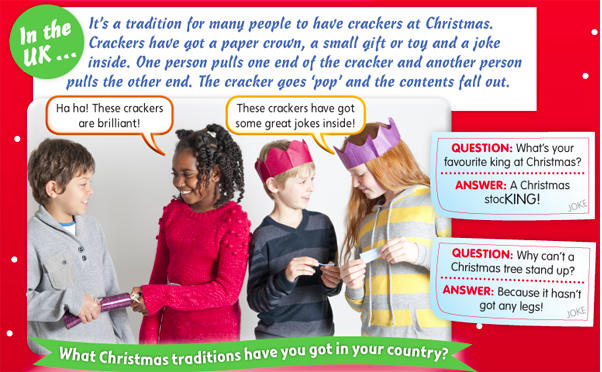 Here you are some jokes in English to put inside the crackers. Many of these are also funny if you tell them in Catalan or Spanish. Let us know (by a comment) if you need help to understand what can be fun about a joke. Here you can share jokes you know too.